We’d love your help. Let us know what’s wrong with this preview of The Legend of Sheba by Tosca Lee. There is the story you know: A foreign queen, journeying north with a caravan of riches to pay tribute to a king Her name is legend. Her story, the epic of nations. The Queen of Sheba. A powerful new novel of love, power, and the questions at the heart of existence by the author of the award-winning “brilliant” (Library Journal) and “masterful” (Publishers Weekly) Iscariot. To ask other readers questions about The Legend of Sheba, please sign up. I'm a guy. Is "The Legend of Sheba" a story for women to read? I hope not because I'm comfortably living in this story. Wow. Just, wow. I'm so thankful the Lord chose Tosca Lee to write about Eve (Havah), Judas Iscariot (Iscariot), and now the Queen of Sheba and King Solomon (The Legend of Sheba). The amount of research and imagination she weaves into her novels is the work of an inspired artisan, and I so appreciate the care with which she handles God's Word. That being said, however, I will warn you that Tosca's writing is edgy, and she doesn't mask the hard truths about the ancient cultures explored in this boo Wow. Just, wow. I'm so thankful the Lord chose Tosca Lee to write about Eve (Havah), Judas Iscariot (Iscariot), and now the Queen of Sheba and King Solomon (The Legend of Sheba). The amount of research and imagination she weaves into her novels is the work of an inspired artisan, and I so appreciate the care with which she handles God's Word. That being said, however, I will warn you that Tosca's writing is edgy, and she doesn't mask the hard truths about the ancient cultures explored in this book. We first meet the Queen of Sheba--Bilqis--as a young girl, loved and protected. But when her innocence is stolen, wheels are set in motion that shape a lifelong search for a real God and the true meaning of love. The Legend of Sheba is, in my opinion, more of a character-driven novel than plot-driven, meaning you don't experience the riveting, action-packed storyline, but rather delve deeply into the heart and mind of the fascinating characters. And no one "delves" more beautifully than Tosca Lee with her lyrical style of writing. Honestly, I'm not sure I've ever read anything more beautiful than chapter twelve! I'm talking serious goose-bumps! Again, this is not a puffy clouds and lollipops story. It's gritty and real and raw, revealing the harsh and pagan realities of ancient cultures of tenth century BC. Bilqis was an unmarried queen who saw a husband as a threat to her throne but needed an heir to succeed her. Solomon was one of the (if not THE) single most enigmatic characters in the Bible--his sensual passions unequaled in word (Song of Songs) and in women (700 wives and 300 concubines, 1 Kings 11:3). "Who am I? Daughter, princess, victim, exile, lover, queen, priestess...all identities in relation to someone else--until that other person was gone. And Solomon, the voracious prince...this man missing the first blush of romance with his God who chased it with the concubines, wealth, wives, and treaty." As adults, we understand the identity crisis Bilqis is working through, and as Christ-followers, we realize that we will one day appear before Him alone--with no one else to lean on or blame. Also as adults, we might identify with the emptiness Solomon experienced when his relationship with Yahweh was hindered by sin. He undoubtedly tried to fill the void with women, wealth, and power as many do today. The Legend of Sheba has at its core an overarching theme. I believe it's the thing that drives every human being to seek some form of companionship, and I believe we have this natural yearning--this craving--because we were created in God's image--though God experiences the desire perfectly and without sin, of course. What is this desire? I hope you'll read The Legend of Sheba to discover it for yourself. I think you'll agree with me that Tosca Lee has captured the human spirit magnificently. BTW...be sure to check out her extensive Author's Note at the end of the book for fascinating insight into her research process. If you're a biblical history junkie like me, you'll be astounded by her research journey! This historical fiction is about Bilqis, also known as the Queen of Sheba, the Queen of the South, and Makeda. She is found in religious literature such as the Bible, the Koran, etc. These books tell of her hearing tales of King Solomon and his wisdom and making a journey to observe him for herself. Lee has spun a story which expands the life of Bilqis and her journey. I enjoyed the book which was filled with adventure, intrigue, and romance. Loved it. Vividly portrayed, romantic, and inspirational. Official review will be published in August's Library Journal along with my interview of Tosca Lee (who is absolutely hilarious on Twitter -- you should follow her). Would that I could make as many treaties by marriage and never give up a portion of my throne! Yafush had been right all those months ago: a woman could not rule like a man. No, we must be far more clever. 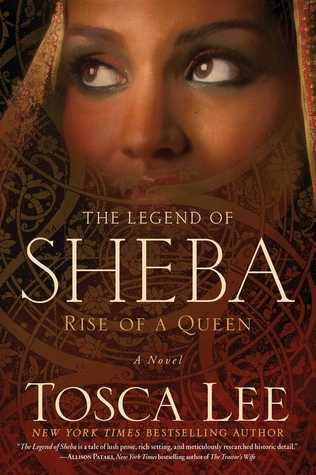 Ever since I read this novel's prequel, with its apt and intriguing call to "Seek wisdom, and rise," I looked forward to reading The Legend of Sheba: Rise of a Queen by author Tosca Lee. Even with this story's biblical link to one of the most famous kings of Israel, Solomon was not the major draw Would that I could make as many treaties by marriage and never give up a portion of my throne! Yafush had been right all those months ago: a woman could not rule like a man. Even with this story's biblical link to one of the most famous kings of Israel, Solomon was not the major draw for me here. I chose this novel specifically for her, to read of the rise of the Queen of Sheba, otherwise known as Bilqis and Makeda. Different aspects of Bilqis's account reminded me so much of Elizabeth and Elizabeth: The Golden Age, stunning films about Elizabeth I of England. Indeed, a queen—an unmarried one, at that—must be exceedingly strong and clever to rule. Besides the interesting weight of politics and some of Bilqis's adversity as a woman that struck me, I much appreciated this story's exploration of worship. I think the question of whether one's faith observance is "nothing but the brokering of deals" in hopes of receiving blessings from God is a relevant question for many. Now, albeit King Solomon wasn't my focus, and he doesn't really enter this tale until halfway through or so, I knew the love story would be inevitable, of course. While this isn't a type of romantic storyline I particularly enjoy, I do realize you can't demand a relationship like that of this queen and king to match an accepted, modern, Western one. And though the additionally inevitable jealousy and bickering got a mild eye-roll from me, it's good that this love story isn't a simplistic fairy tale. The absolutely stunning tale Tosca Lee weaves through The Legend of Sheba renders me breathless with its intricacy and rich, detailed beauty. Framed by eloquent descriptions and fueled by romance, The Legend of Sheba will transport you across ocean and land to the oasis of the land of Saba and to a young woman named Bilqis. Her journey to become queen is fraught with turmoil, hurt, passion, and an overwhelming sense of destiny. It is a tale that will touch your very soul. I thoroughly enjoyed The The absolutely stunning tale Tosca Lee weaves through The Legend of Sheba renders me breathless with its intricacy and rich, detailed beauty. I thoroughly enjoyed The Legend of Sheba! You can tell the historical background was thoroughly researched, and yet it flows so smoothly that you experience the setting as if it is native to you. The characters are deep and the emotional connection to them is immediate. The plot draws you in and at once submerges you in the land of Saba. I highly recommend this novel to all. If you enjoy historical fiction it is a must - but, even if you don't, it's still a recommendation because of the skill with which Tosca Lee writes. She is at once a storyteller and a magician of words and descriptions, creating a world her readers can enjoy and experience. Finally, I've had a chance to read this book. My word, I am so impressed. My only short account of Tosca's writing was with the novella about Ismeni and I must say I am thoroughly blown away with the way this book turned out. This story is my first biblical fiction and now that I've sampled it, I know I'll be trying out a few more authors. The legend of Sheba boasts in beautiful descriptions and is rich in its historical background. The grandeur of a radiant queen traveling north to meet with King Solomon, a King who's wisdom rivals many and is famous throughout many kingdoms in that time period. This intricately woven tale graces us with first person point of view (Bilqis). It demonstrates the emotions and thoughts of Queen Sheba. Her turmoil. Her choices. Her reasoning. Her character is admirable as she stood to wits with Solomon. Testing his professed wisdom time and time again. I loved that Songs of Solomon 8:6-7 was quoted! "Set me as a seal upon your heart, As a seal upon your arm; For love is as strong as death, Jealousy as cruel as the grave; Its flames are flames of fire, A most vehement flame. Many waters cannot quench love, Nor can the floods drown it...."
I absolutely love this scripture. This is a brilliant retelling of the tale between Queen Sheba and Solomon. I recommend this and can certainly afford 5 stars on this one! I loved every second of reading this! I don't often read books of this genre but something about this book called to me, perhaps it was the eyes on the cover that lured me in like they did so many a man that Bilqis(Sheba) came across. I love so much of this book, I don't think I have a single bad thing about this book that I could come up with other then I want more! It was like reading the pages of the girls diary or being right there next to her and experiencing all the beauty her world had to offer and all the pain that hid behind I don't often read books of this genre but something about this book called to me, perhaps it was the eyes on the cover that lured me in like they did so many a man that Bilqis(Sheba) came across. It was like reading the pages of the girls diary or being right there next to her and experiencing all the beauty her world had to offer and all the pain that hid behind their veils. One of the things that will draw a reader to this book is a strong independent woman who is a ruler in a time when women where nothing more then cattle to be bartered off. They thought they were going to get a Queen they could manipulate and marry off easily and instead they got Bilqis. A strong woman who conquered men without revealing her face. I love that the ending is both a happily ever after and a heart breaker. I didn't want to root for a happy ending because I get sick of always reading them but this ending was one that satisfied every part of my readers soul. I like that they fell in love with their words before ever setting eyes on one another. And people think online dating is a new thing. HAH! Bilqis and Solomon where pro's. The historical accounts of King Solomon and the Queen of Sheba has been told often from the perspective of Solomon. In “The Legend of Sheba: Rise of a Queen” author Tosca lee has woven an exquisite, lush, and beautiful account of Solomon and Sheba from the famous Queen’s perspective. The result is a fascinating and exciting read that takes the reader on a enthralling journey of a young princess who rises to legendary status as a famous Queen and her relationship with the Israelite king, Solomon. The historical accounts of King Solomon and the Queen of Sheba has been told often from the perspective of Solomon. In “The Legend of Sheba: Rise of a Queen” author Tosca lee has woven an exquisite, lush, and beautiful account of Solomon and Sheba from the famous Queen’s perspective. The result is a fascinating and exciting read that takes the reader on a enthralling journey of a young princess who rises to legendary status as a famous Queen and her relationship with the Israelite king, Solomon. The story beautifully details Sheba/Bilqis/Makeda's rise to power, her navigating political intrigue, her love for her country, and the savvy move to seek diplomatic ties with King Solomon. Tosca Lee is a gifted author who excels at character development. I felt transported back in time to antiquity, it was as if I were walking with Sheba and Solomon during Old Testament times. This story was so well researched and beautifully told that I could feel the very heartbeat, thoughts, and emotions of Sheba as she navigated political and inner conflicts that surrounded her. That is what makes this story so believable and poignant. Loved it! Full review to come. In the Bible, the Queen of Sheba’s visit to King Solomon’s court is thirteen verses long. It is a mere occurrence in the reign of Solomon, and yet, what would have it ben like for the queen of the opulent county of Saba to meet Israel’s wise king? Queen Bilqis, comfortable in her sequestered life in a neighboring country, becomes queen, but at great personal sacrifice; her soul to the priests of Saba’s gods and her heart to a harsh desert battle. When King Solomon d Loved it! Full review to come. In the Bible, the Queen of Sheba’s visit to King Solomon’s court is thirteen verses long. It is a mere occurrence in the reign of Solomon, and yet, what would have it ben like for the queen of the opulent county of Saba to meet Israel’s wise king? Queen Bilqis, comfortable in her sequestered life in a neighboring country, becomes queen, but at great personal sacrifice; her soul to the priests of Saba’s gods and her heart to a harsh desert battle. When King Solomon demands a tribute that Bilqis refuses to bestow, tensions between their two countries and their trading allies threaten Saba’s future. Rather than sending an emissary, Bilqis decides to travel to Israel herself to meet with the king. As imagined by Tosca Lee, this meeting is at once explosive, passionate and spiritually challenging in ways they never could have dreamed. Prior to reading The Legend of Sheba, I was already a whole-hearted fan of Tosca Lee, so I was sure that I would relish the story of Sheba’s famous queen. Not only did I savor this story, but I was blown away it; it completely exceeded my expectations. There is a gritty aspect to Tosca’s writing that always captures my attention, and in her usual style, she does not make things easy for her characters. Queen Bilqis is at times tough as nails, and at others, she is all too aware of her vulnerability as a woman in what is typically a man’s role. I loved the backstory that Tosca created for her; it was painful at times and always fascinating. Though she had been removed from the royal courts as an adolescent and was safely sequestered away for many years, she rises to the occasion when those loyal to her father wish to make her queen. Though a queen and worshiped by all as a high priestess, Bilqis is detached from fervent worship of the moon god, one of the many gods revered by her people, and yearns for something more. Over the course of the first few years of her reign, Bilqis corresponds with Solomon, a man who both captivates and infuriates her. Sparks fly with each missive received, and yet his words stir something in Bilqis’s heart – not just from the words of Solomon, but what he says about his God. As their words reach a boiling point, the political tensions between Saba and Israel reach one as well. I love the set-up of them finally meeting. Tosca creates tension like very few can, and by the time Saba’s enormous caravan reached Israel, I was brimming with anticipation. The ancient world is exquisitely painted. I could smell the incense in the air, feel the hot sun on my back and the sands shift around me. The writing is at times lyrical, and yet every word is finely placed, not wasting any time with unneeded descriptions. The plot seemed to gain speed as the meeting approached, and I was engrossed in the inner workings of Saba’s court. Bilqis’s search for more, for something higher than herself, is relevant to today. The secondary characters add a great depth to the story; I especially loved her Nubian guard, loyal even facing death. His character, and those of her close advisors, adds a wonderful perspective to the story. The social customs and political and religious practices of both Israel and Saba were fascinating, but what most compelled me were the inner workings of Bilqis and Solomon. There are no watered down spiritual discussions here, but rather, a frank look at Solomon’s faults. Though he was the epitome of wisdom, we know from the Bible that God was not pleased with Solomon giving his heart to many wives, especially those for whom he built temples for their own gods. I loved the view that we get of his court and how utterly impossible it was for him to please all of his wives and the many treaties and relationships that resulted from these marriage alliances, and the spiritual consequences for both himself and Israel because of them. Tosca’s portrayal of this correlated well to scripture. Through all of this, is the inexplicable pull she feels toward Solomon, and more pressing, her growing questions about the Lord. Bilqis’s spiritual awakening, though slower in developing, is subtle but powerful and suited to her character. The events prior to the Queen of Sheba’s visit to King Solomon’s court are not revealed in the Bible; however, Tosca’s story is a realistic, creative blend of the biblical story and ancient tradition. Readers that want simplistic tale or sweet romance will not find that here, but rather an honest portrayal of Israel’s wisest king and the courageous queen who traveled across a vast desert to meet him. It’s a story about a queen who expected to encounter a king, but instead is simply Bilqis, a woman overwhelmed by an encounter with the God that becomes her own. Step into the decadent world of ancient middle eastern culture and intrigue. In her new release,The Legend of Sheba: Rise of a Queen, author Tosca Lee lifts the veil of luxury and extravagance to reveal the heart of a queen. Like King Solomon, you too will be captivated by the Queen. Lee’s impeccable research and passionate writing bursts forth from every page. She delivers a story that will delight your senses and rend your heart. Queen Bilqis of Saba proves to be a mystery worthy of discoverin Step into the decadent world of ancient middle eastern culture and intrigue. In her new release,The Legend of Sheba: Rise of a Queen, author Tosca Lee lifts the veil of luxury and extravagance to reveal the heart of a queen. Like King Solomon, you too will be captivated by the Queen. Lee’s impeccable research and passionate writing bursts forth from every page. She delivers a story that will delight your senses and rend your heart. Queen Bilqis of Saba proves to be a mystery worthy of discovering. From her turbulent youth to her ascension to power, Tosca Lee plumbs the depths of history to share the story of this remarkable woman. The first chapter knit my heart to this character because of the abuses and losses that she suffered. I was compelled to read on to discover how her pledged allegiance to her mother’s god Almaqah would play out. He had delivered her, or so she thought, from her tormentor. Following the death of her father, she credited Almaqah for her ascension to the throne. The cost of which cast a pall over her victory and left her feeling isolated. Shortly afterwards, a new challenge came from the North in the form of an upstart king name Solomon. Would her god help her match wits with the renowned king of wisdom? She must decide whether she will be fearless or reckless in her dealings with this king whose nameless and formless God has earned him both power and prestige. Powerful, vibrant, saturated in history, The Legend of Sheba was doubtless one of the best books I have read this year. I have never read anything by Tosca Lee before. However, after looking her up and seeing what she had written, I very much wanted to. The Legend of Sheba shocked me in its beauty and depth. The research it took to write this book is incredible. The characters were so very real that I could almost touch them, see what they were seeing, feel what they were feeling. I have not read a book like this since Redeeming Love by Francine Rivers. Now that I’ve read one of Tosca Lee’s books, I want to read them all. The one thing about the book that I found was that the lines of morality were blurred. King Solomon had hundreds of wives and didn’t seem to feel guilty about it. Nor was it pointed out that having hundreds of wives was not right in God’s eyes. Bilqis—the Queen of Sheba—and Solomon committed immorality, hardly taking into account that they were not married. However, because the book was set in the pagan culture of Sheba, it was realistic. This book gripped me from the very first page, which is very rare. I have never read anything quite like it. Now that I have tasted Tosca Lee’s writing, I very much wish to read more. It’s a very deep and beautiful read. I have no doubt that I will re-read it one day. Tosca Lee keeps getting better and better. The Legend of Sheba follows the story of the queen who ruled Sheba (modern day Ethiopia) during the reign of King Solomon. While we learn a lot about the country and their social, religious, and political beliefs in this book, what will draw Christian readers is the conundrum of King Solomon. But be warned, although we honor King Solomon as the wisest of kings, he did not obey God's commands and his kingdom crumbled because of his disobedience. He took h Tosca Lee keeps getting better and better. The Legend of Sheba follows the story of the queen who ruled Sheba (modern day Ethiopia) during the reign of King Solomon. While we learn a lot about the country and their social, religious, and political beliefs in this book, what will draw Christian readers is the conundrum of King Solomon. But be warned, although we honor King Solomon as the wisest of kings, he did not obey God's commands and his kingdom crumbled because of his disobedience. He took hundreds of wives and allowed them to worship their foreign gods. It is the true story of an honored biblical hero who could have been so much more than he turned out to be. What Tosca Lee explores in this epic piece of historical fiction is the reasons King Solomon might have fallen away from God's teachings; how and why King Solomon might have rationalized his choices. This book is a creative adaptation of biblical characters drawn from the Bible and other ancient writings. It is realistic and rings of truth. And it is beautifully written. I really can't say enough about The Legend of Sheba by Tosca Lee. This book is so well written and beautiful. I have been a fan of Tosca's work for a few years now, and I was very excited to read this newest book. I was not disappointed. Once again Tosca proves her ability to weave words together to create a vivid story and take you with it, never lessening its hold. I was spell bound for 18 hours. Completely enraptured! As soon as I finished I wanted to start it again right away. If you like hi I really can't say enough about The Legend of Sheba by Tosca Lee. This book is so well written and beautiful. I have been a fan of Tosca's work for a few years now, and I was very excited to read this newest book. I was not disappointed. Once again Tosca proves her ability to weave words together to create a vivid story and take you with it, never lessening its hold. I was spell bound for 18 hours. Completely enraptured! As soon as I finished I wanted to start it again right away. If you like historical fiction even the smallest bit, you will love this! Fan of romance? I would direct you to this book. Suspense? This book again! It really has it all I think. A little of something for anyone. That's what I love so much about Tosca's work, she delivers everything you need in a book and then some! She is truly talented and devoted to her work. I will be buying this book in all formats and recommending it to everyone! It is a magical tale, so artfully woven together. Wow. Just, wow. I finished this book yesterday, and am still reeling. The ancient world, a painting come to life. The queen of Sheba, as real to me as if I knew her. Her love affair with Solomon, tender and excruciating. History, alive and bursting with color. This book is legendary, exquisite, captivating. The only thing I didn't like about it was that the blasted thing ended. I could have lived in that world for endless days! I can't even remember the last time I read a book and immediately wanted Wow. Just, wow. I finished this book yesterday, and am still reeling. A fascinating, eloquently written look into the story behind the Biblical story of the Queen of Sheba. Raises several interesting philosophical points while exploring the nature of romantic love. Excellent! I was given a copy of this book by the author in exchange for an open and honest review. Beautifully written and deeply moving, continually asking us who we are, who God is and where we meet; The Legend of Sheba is slow to start but swiftly catches you into the world of desert sands, camel caravans and the searching, nomadic soul within us all. Tosca Lee has composed another page turner combining history, romance and the search for truth. We are introduced to a knew, energized Queen of Sheba, call I was given a copy of this book by the author in exchange for an open and honest review. We are introduced to a knew, energized Queen of Sheba, called Saba in the novel. Bilqis is a young woman,having lived away from the capital in a distance province when her father dies, and men come in the night to raise her as queen. Uncertain in this sudden predicament, yet confident in knowing the other options of leader could mean doom for Saba, she goes, riding into battle with her men, urging them on to victory in the name of the moon god who she has claimed as her own. "I am the product of my land. I am Saba. Egypt has her Nile, but we have the monsoons, out dams and canals, the design of which was whispered to our ancestor by the gods. And so we persist since time immemorial, forever and blessed. "-Bilqis speaking of her land. The dialog is wonderfully realistic and perfectly balanced with descriptions of places and people, presenting well rounded and fully fleshed characters who are compassionate yet obstinate, loving and fighting for what they must, reaching for those around them while trying to fight to retain their individuality. The scenery is so vivid, and description covering all angles that it feels as though we could be one of the serving maids or guards standing in the corner. Lee combines both religious and historical texts, both those commonly known and the tidbits hidden deep with in them for a wonderful read, her extensive research into cultural, historical and ancient religious practices showing on every page. We are brought in with the history of Bilqis, and some of the cultural and historical traditions of Saba, as well as its court and trade practices. Well over half way into the novel we finally reach Jerusalem, reach Sheba and Solomon, the reason behind the book, a story known so well for it's romance and wisdom, and while it could have been condensed, the story is always swiftly moving and always interesting, filled with depth and purpose. When we at last meet King Solomon it is with a fresh take on the man he might have been, both with and behind the crown, and are pulled along on the adventure of negotiations, discoveries, history and budding love. Maybe even witnessing the relationship Solomon wrote the beloved Song of Songs about. The ending comes swiftly and hastily, both in the plot and in the writing, after being away from her kingdom for a year and among growing unrest in Israel, Bilqis is spirited away, bearing both treasures and secrets with her, some that are still searched after today. In this wonderful tale we see two royals who keep their true selves alive and intact inside, always seeking the truth, the right way, and the right Guide in a balanced pairing of history, faith and romance. "It is easy to love a statue that is fearsome or beautiful," said Solomon. "But our love is proved when we love those who are not beautiful...When we love not out of pity or even for their sakes, but for our own. And here is the secret: they do not wound us, as Yaweh does not wound us. We wound ourselves by allowing the offence...so Yaweh commands forgiveness for our own healing...in honouring ourselves--and others as ourselves--we please and honour Yaweh, who looks not on what a person does, but on the heart." "There is a tale that is told: A desert queen journeyed north with a caravan of riches to pay tribute to a king and his One God. The story of a queen conquered by a king before she returned to her own land laden with gifts. That is the tale you are mean to believe. The truth is far more than even storytellers could conjure. The riches more priceless. The secrets more corrosive. The love and betrayal more passionate and devastating, both. Love...The very word is a "There is a tale that is told: A desert queen journeyed north with a caravan of riches to pay tribute to a king and his One God. The story of a queen conquered by a king before she returned to her own land laden with gifts. Love...The very word is a husk shriveled beneath the sun of the desert waste, its essence long lost to the sands. So will my tale be to those who traveled her barren routes, my footprints as though they never were." When I read these opening sentences in the latest novel, The Legend of Sheba: Rise of A Queen, from best-selling author Tosca Lee, I felt that I was reading a modern day tale from the Arabian Nights. Her word choice is conveying the story of Queen Sheba who is rarely mentioned in the Bible but for her one visit to Israel to King Solomon. But such is all of the latest novels from Tosca Lee. The uncanny ability to weave a story out of thin air so compelling, you are instantly drawn into the pages, void of all breath until you can breathe once again when you finish the final page. In this novel, she has so thoughtfully and diligently researched all aspects of the rare Queen of Sheba who was never married and thus ruled her kingdom without the aid of a King. Although she is only mentioned in the Bible, the Quran and the Kebra Nagast: The Glory of the Kings - the 700-plus-year-old origin of the story of the Solomonic Kings of Ethiopia. From a simple mention of this famed Queen, Tosca Lee has breathed life into the Queen that was but a mist in the life of the royal blood lines from the Middle East. You get a sense of how difficult it would have been to be one of the only woman to rule a kingdom without a man by her side as King. The uncertainty of what would become of her, if there was no heir to her throne. During this time, kingdoms grew strong based on those alliances one would obtain through marriage, much like all of Solomon's conquests to advance the size of his growing kingdoms. In a time when romance was forbidden, the love that Tosca creates between Solomon and Sheba was one of unrequited love. You can see how both of them would be at odds to unite their respective kingdoms and dealing with all of Solomon's compromises in marrying so many wives despite his allegiance to his One True God. This is what makes this novel work. It is almost as if you are reading a historical document of a rare romance between two royal kingdoms that would never come to pass almost like a version of Romeo and Juliet. I think once again you can help but wonder about the amount of time that went into the research behind writing this novel and I for one, love this beautiful story of power, worship and romance in a time long forgotten but still captured in fragments in time. QUICK HIT - The Legend of Sheba wraps tradition, legend, and speculation around a core of factual truth to develop a story that is breathtakingly beautiful in premise, prose, and plot. 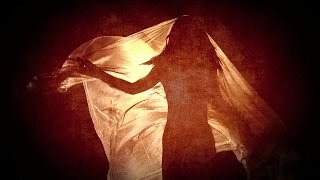 She is an enigma, a mystery, an unknown even to those close to her. A queen in a patriarchal world. Ruler of a wealthy kingdom in the middle of a barren land. Rough yet feminine. Calculating yet not devoid of emotion. Wanting love but knowing that do so risked her power. She is Bilqis, queen of Sheba. And this is he QUICK HIT - The Legend of Sheba wraps tradition, legend, and speculation around a core of factual truth to develop a story that is breathtakingly beautiful in premise, prose, and plot. Source: Free Advanced Reader Copy through NetGalley, and from Simon and Schuster/Howard Books, in exchange for a review. All reviews expressed are of my own opinion. "I never meant to become queen." A pensive statement from a woman who became the famous queen of Sheba in the "tenth century BC". Her sultry name has passed through the ages as a woman of beauty, riches, and power. A relationship with King Solomon proclaimed her name in Israel. She is known by various names: Bilqis, Bilkis, Source: Free Advanced Reader Copy through NetGalley, and from Simon and Schuster/Howard Books, in exchange for a review. All reviews expressed are of my own opinion. A pensive statement from a woman who became the famous queen of Sheba in the "tenth century BC". Her sultry name has passed through the ages as a woman of beauty, riches, and power. A relationship with King Solomon proclaimed her name in Israel. She is known by various names: Bilqis, Bilkis, Makeda, and Sheba. Each of these names disclose a particular identity. In Israel she is known as Sheba. She is also Bilkis or Bilqis, "Daughter of the Moon." In the west she is known as "Makeda, Woman of Fire." Her mother called her Bilqis. They lived in Saba, a region which stretched from, "the sheer edge of the coastal range to the foot of the desert waste." Located in modern day southern Arabia. They are the ancestors of the Ethiopians. Bilqis became queen after the king of Saba died. In order to provide for the empire of Saba, secure trade routes needed to be built and maintained. She sought King Solomon's help, and she and her complex entourage made a long journey to Israel. There is a sensuous nature in The Legend of Sheba. It is a sensory story, utilizing the senses of touch, sight, smell, feel, and hear. These impressions bring the story to life. Bilqis or Sheba, is a flesh and blood person, not a character written on a page, but a vibrant, passionate, savvy, dynamic woman. Through The Legend of Sheba, I saw Bilqis's character transform from a young girl without a voice, but is an intelligent and an astute observer of people, to a courageous woman who seeks knowledge and wisdom. An aim of the story is to reveal the real queen of Sheba, not a person of myth or legend, but to bring her to life. I felt this was well crafted in The Legend of Sheba. In a historical character such as Sheba, a fictional story can be "over-the-top" reminiscent of an epic poem. I felt Sheba's character balanced both imperfect human qualities and incredible human qualities. While the stories emphasis is on Bilqis or Sheba, an additional character brought from the pages of the Old Testament is king Solomon. He's not what I expected. This is neither a good thing nor bad, just a surprise. A (not quite) hidden gem in the story is how these two characters relate to one another, their similarities and differences, and their regal nature as opposed to who they "really" are. While reading The Legend of Sheba, I drifted into the story and did not emerge until the last page. This is a very interesting fictional account of the life of the Queen of Sheba as she is known in the Bible. The tale begins with Sheba or Saba as she is known in her country as a young girl at the feet of her mother. Upon her mother’s untimely death, Saba loses favor with her father and his new wife. She falls prey to palace machinations and has her innocence taken at a young age. She is then sent to the far reaches of the kingdom where she finds love, but not for long. Her father dies and she is approached by those loyal to him to take her rightful place as queen. She is eighteen when this occurs. As queen she finds herself busy with her duty, but very lonely. She begins talks with the king of Israel who she trades goods with by caravan. Soon their conversations turn from verbal via the caravan master to written via scrolls. Saba and Solomon are intrigued by one another while at the same time wary of each other. The written word isn’t enough and Saba decides she must meet this Israelite king for herself. A long journey ensues and she arrives in Israel with much pomp. What follows is her life at court for six months and her relationship with Solomon. I enjoyed reading this story as it weaves the little that is known about Sheba with a wealth of speculation on what might have been. Readers get a glimpse of the rich and luxurious lifestyle of royalty as well as the secret alliances and political intrigue that are a part of palace life. We also see the religious beliefs of Saba and the many gods her country believes in and feels the need to appease. The detailed research by the author is evident as well as her ability to create an entertaining fictional account from very little information. There are some adult situations in the story as well as other human failings to follow God’s path. Sheba is shown to be a strong, intelligent and crafty woman, but also a woman searching. Does she find what she is looking for? First of all, Tosca Lee is an exquisitely poetic writer. She is also incredibly talented at digging into the heads of forgotten or cast aside persons. It is always very obvious that she does her research: What was the culture? What was the actual religious thought? What would a real man or woman do, in their shoes? Too often, we take these characters at face value; Tosca challenges us to think and feel beyond that. To love the ones we may have thought were unlovable. I have read all of her books First of all, Tosca Lee is an exquisitely poetic writer. She is also incredibly talented at digging into the heads of forgotten or cast aside persons. It is always very obvious that she does her research: What was the culture? What was the actual religious thought? What would a real man or woman do, in their shoes? Too often, we take these characters at face value; Tosca challenges us to think and feel beyond that. To love the ones we may have thought were unlovable. I have read all of her books, and every single time, I find myself meeting anew someone that I once thought I understood. It's a magical ability, and she did not fail to do it again in The Legend of Sheba. As Tosca points out in her afterward, the Biblical mention of the Queen of Sheba is a very brief note that she came to hear King Solomon's wisdom, see his treasures, and honor him with gold and all the wealth of this tiny, but apparently influential Arabian kingdom -- actually, in that account, it's not even clear where Sheba is. The mention seems to be solely intended to demonstrate the international prestige that Solomon, his wisdom, and his wealth accrued. Tosca's story is about a woman who is far more than a propagandistic aside, and a king who is far more human than I previously imagined him to be. That is the heart-wrenching beauty of Tosca's writing. This is the aspect of her work that always leaves me haunted when it's done. She reminds us that these characters are human, and that as legendary as they seem, we do them a disservice to assume that they did not struggle, misunderstand, love, live, and hurt like we do. Compared to Iscariot, the book was shorter than I expected; that did not diminish it at all. She gave the individual cultures (as she could reconstruct them) the credence and respect due them, but also showed their human flaws. I was fortunate enough to receive an advance reader copy of this book from Howard Books through Net Galley for review. The Bible account of the Queen of I was fortunate enough to receive an advance reader copy of this book from Howard Books through Net Galley for review. 1000BC, the king of Sheba is dead and Bilqis, also called Makeda, his exiled daughter, has gained the crown after a desperate overland march and battle for the capital. Solomon, the brash king of Israel famous for his wealth and wisdom, will not be denied the tribute of the world, or the riches of Sheba. With the future of her nation at stake, the one woman who can match wits with Solomon, undertakes the journey of a lifetime, in a daring bid to save her kingdom. In this novel, Lee has so thoughtfully and diligently researched all aspects of the rare Queen of Sheba who was never married and thus ruled her kingdom without the aid of a King. You get a sense of how difficult it would have been to be one of the only woman to rule a kingdom without a man by her side as King. The uncertainty of what would become of her, if there was no heir to her throne. An explosive retelling of the legendary king and queen and the nations that shaped history. Lee has written a powerful new novel about a queen’s torrid love affair with King Solomon, filled with love, illicit passion, the illusion of possession, and the ultimate surrender to God. I love, love, this beautiful story of power, worship, and romance in a time long forgotten but still captured in fragments in time. Captivating and thought-provoking, it will change the way you see; the relationship between King Solomon and the legendary Queen, and King Solomon’s writings. I received copy of eBook from Net Galley and publisher Howard Books for my review. Tosca Lee's powerful writing plucked me from my armchair and transported me back to a long ago era where Solomon sat on his throne and the Queen of Sheba beguiled him from afar. I was swept up into the moving story from the first chapter, and soon scenes were racing across my mind with vivid clarity, painted there by Lee's talented pen. I have gained a whole new appreciation for the Queen of Sheba, and Tosca Lee has clearly done her research with this novel as it breathes with historical authent Tosca Lee's powerful writing plucked me from my armchair and transported me back to a long ago era where Solomon sat on his throne and the Queen of Sheba beguiled him from afar. I was swept up into the moving story from the first chapter, and soon scenes were racing across my mind with vivid clarity, painted there by Lee's talented pen. I have gained a whole new appreciation for the Queen of Sheba, and Tosca Lee has clearly done her research with this novel as it breathes with historical authenticity. As I read through the pages, I felt immersed in the culture and traditions of Sheba's time, wishing that I could step into the story and feast my eyes upon the world in which Sheba lived. Much of Sheba's story is unknown, and yet Lee has done a fantastic job at fleshing out who this person may have been, and what the relationship between Solomon and Sheba may have looked like. The characters are wonderfully developed, with real depth and human emotion that will have you caring deeply about who they are and the choices they make. The characters are far from perfect, but you will appreciate them all the more for it, perhaps seeing yourself reflected in some of the mistakes that they make. But what is real is the love that is shown, not only the love between the characters, but the love of God shown to his people, for all who would call him by name. "The Legend of Sheba" is Tosca Lee at her best, with simply beautiful prose, rich characters, and a celebration of deep love. I enjoyed this book from beginning to end, and award it a full 5 out of 5 stars. I like this book more than I thought I would. I am not huge for historical fiction, but the Biblical angle held a little interest. I don't think it was quite as good as The Red Tent, but this was also an easier read. I hadn't read anything by Tosca Lee before. I think my biggest problem with the book is that it was set up as a romance, a great love. But King Solomon had over 400 wives. He may have been quite romantic, but yikes. And why would a smart cookie like our protagonist be sucked in by hi I like this book more than I thought I would. I am not huge for historical fiction, but the Biblical angle held a little interest. I don't think it was quite as good as The Red Tent, but this was also an easier read. I hadn't read anything by Tosca Lee before. I think my biggest problem with the book is that it was set up as a romance, a great love. But King Solomon had over 400 wives. He may have been quite romantic, but yikes. And why would a smart cookie like our protagonist be sucked in by him? I'm not sure. She'd know love and affection before. Was it because it was a powerful and exotic king? It certainly wasn't because he was willing to devote himself to her, even for several consecutive days. Oh, what a catch. Yuck. The imagery was beautiful. The descriptions were vivid and lush. The action moved along at a decent clip, but the overwhelming feeling of "oh no she wouldn't" was distracting, especially if you know the history was that indeed she did. Which makes me think our author made more of the Queen of Sheba than really was - which was probably good. Bloodthirsty dingbat would have made a less compelling protagonist. And yes, I know that she had a real name, but I've already returned this book to the library (other book clubbers need a chance), so I can't remember it other than a "B" and a "Q" I think. This book is a literary delight. It is both gritty and beautiful at the same time. If you have delicate sensibilities you may consider passing on this one. But if you ar The biblical account of the queen of Sheba is short. It is located in I Kings 10 and 2 Chronicles 9. In these verses there are very few details about who she was and what surrounded her visit. In The Legend of Sheba Tosa Lee has used her vast amount of research and her brilliant storytelling abilities to fill in some of the gaps. The legend of the Queen of Sheba has captured the imaginations of people for many centuries. Now, in a newly written, lushly described novel, author Tosca Lee brings this fascinating, enigmatic woman to life. It is the 10th century B.C. and a young woman with three names, Bilqis, Sheba, Makeda, has inherited her father’s throne. Through a traveling merchant, she learns about King Solomon of Israel. Soon she exchanges letters with this distant king, who piques her interest and fills her with wond The legend of the Queen of Sheba has captured the imaginations of people for many centuries. Now, in a newly written, lushly described novel, author Tosca Lee brings this fascinating, enigmatic woman to life. It is the 10th century B.C. and a young woman with three names, Bilqis, Sheba, Makeda, has inherited her father’s throne. Through a traveling merchant, she learns about King Solomon of Israel. Soon she exchanges letters with this distant king, who piques her interest and fills her with wonder. So in a bold move, against the wishes of her advisors, she compiles a vast hoard of riches and treasures and arranges for a caravan to make a near impossible and treacherous trek to visit him. What follows is a wonderful tale of passion and intrigue. I have loved Tosca Lee's retelling of biblical characters. From the nefarious Judas Iscariot, to now this barely-mentioned Queen of Sheba, whom is given a mere 13 verses ( 1 Kings 10: 1-13). I've never understood this pagan queen whom goes before Solomon and delivers this rousing speech about how wonderful the Lord of Israel is. She never seemed to convert, wasn't she afraid of her own gods' jealousies and spite? This book however de I received a copy of this book in exchange for an honest review. This book however delves into the fictional account of what may have been this queen's life in such detail and exquisite writing. The relationship between King Solomon and the Queen of Sheba is detailed as a great love story, ending with the separation of the two lovers for political reasons. From 13 verses, the author weaves an incredible story that lasts over 300 pages and immerses the reader into such fantasy! I did not realise that there was a House of Solomon, the Imperial House of the Ethiopian Empire that traced back their lineage to this love child between King Solomon and Queen Sheba. Ah, the elusive magic of a story that is technically a four-star story, but got dragged down to three-stars because my personal tastes struggle with even the most well-told angsty romance. I will say I really enjoyed the romantic thread as long as the intellectual side of it kept up. That I found fascinating. The historical context was very well set up (without being intrusive! I am rather amazed) and the visual style brought the whole story to life. Balqis' story is fascinating. The play throug Ah, the elusive magic of a story that is technically a four-star story, but got dragged down to three-stars because my personal tastes struggle with even the most well-told angsty romance. I will say I really enjoyed the romantic thread as long as the intellectual side of it kept up. That I found fascinating. The historical context was very well set up (without being intrusive! I am rather amazed) and the visual style brought the whole story to life. Balqis' story is fascinating. The play through of her meeting Solomon (as he is starting to crumble) was fascinating. Tosca Lee is the award-winning, New York Times, IndieBound, and Amazon bestselling author of ten novels including THE LINE BETWEEN, THE PROGENY, FIRSTBORN, THE LEGEND OF SHEBA, ISCARIOT, and the Books of Mortals series with New York Times bestseller Ted Dekker. Her work has "Superior storytelling." Tosca Lee is the award-winning, New York Times, IndieBound, and Amazon bestselling author of ten novels including THE LINE BETWEEN, THE PROGENY, FIRSTBORN, THE LEGEND OF SHEBA, ISCARIOT, and the Books of Mortals series with New York Times bestseller Ted Dekker. Her work has been translated into seventeen languages and been optioned for TV and film. A notorious night-owl, she loves movies, playing football with her kids, and sending cheesy texts to her husband. You can find Tosca at ToscaLee.com, on social media, or hanging around the snack table. A SINGLE LIGHT, the highly-anticipated sequel to THE LINE BETWEEN, releases September 2019 and is available for preorder now.